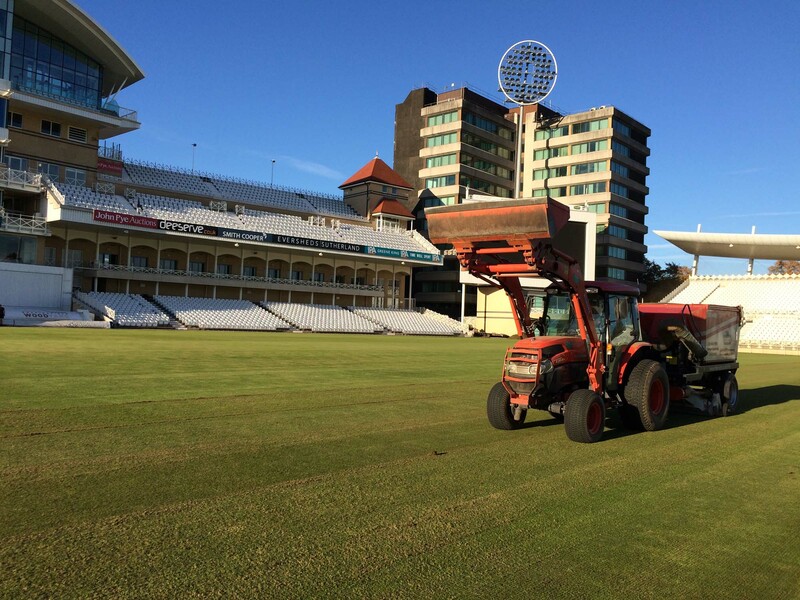 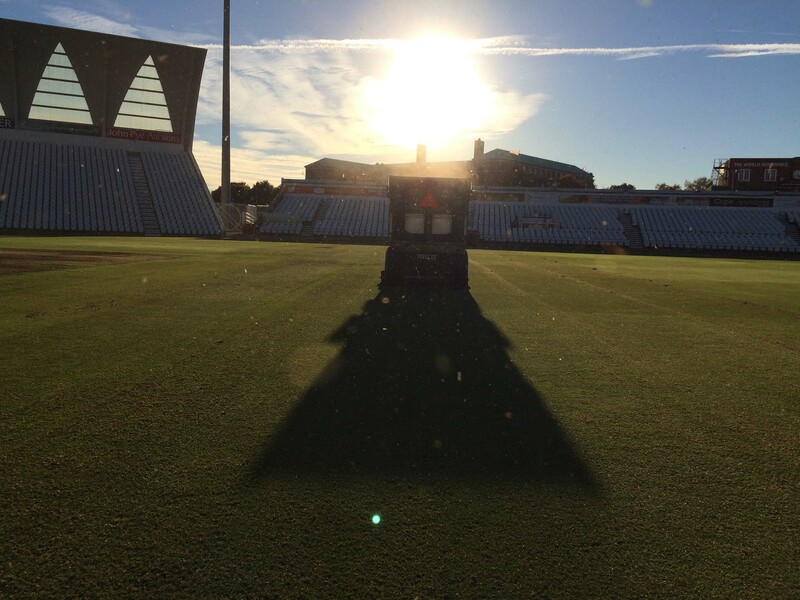 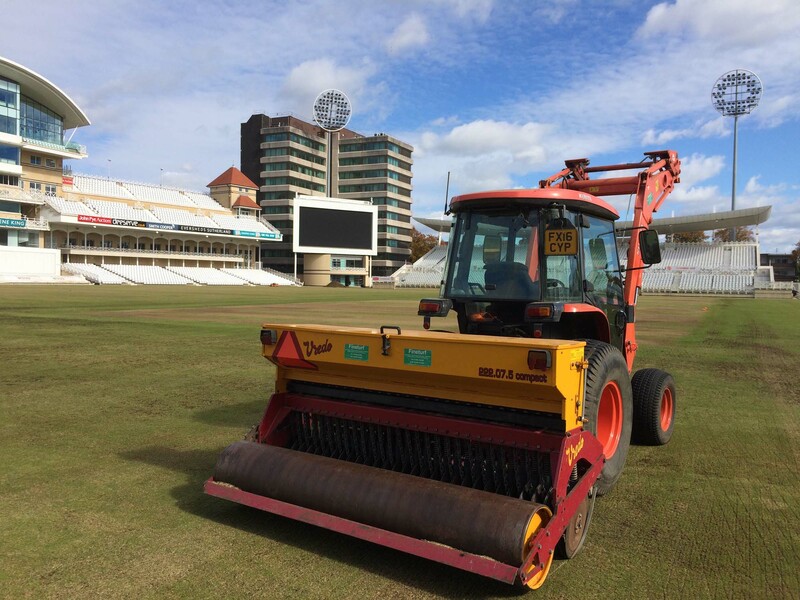 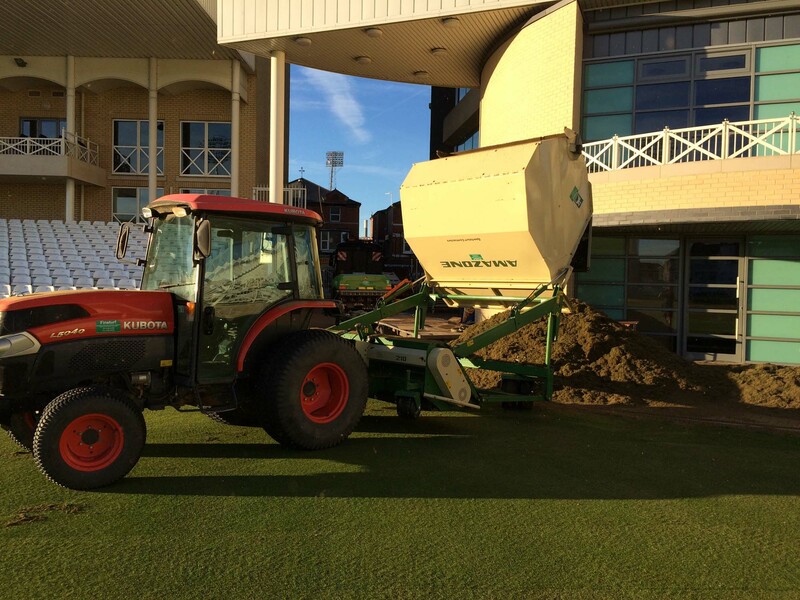 In October we returned to Trent Bridge Cricket Ground for their end of season renovation. 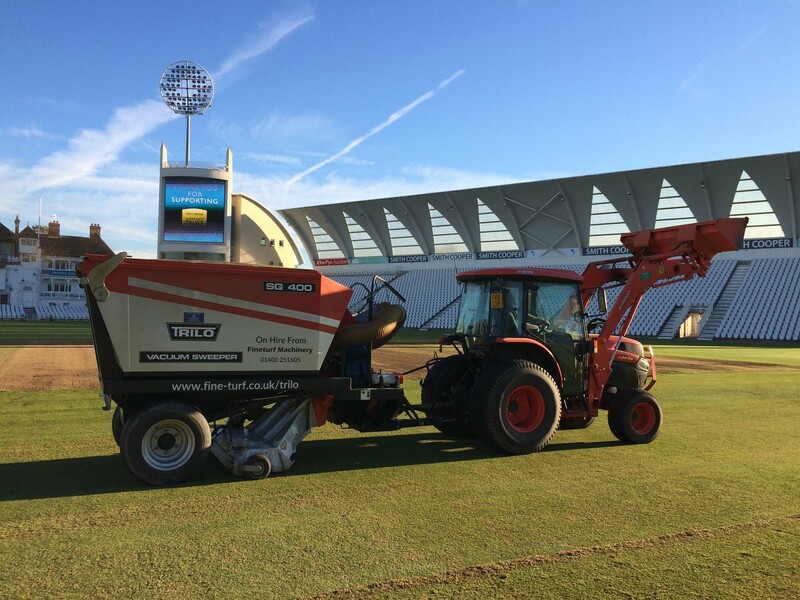 The outfield was scarified using an Amazone 210 and the arisings collected with a Trilo SG400. 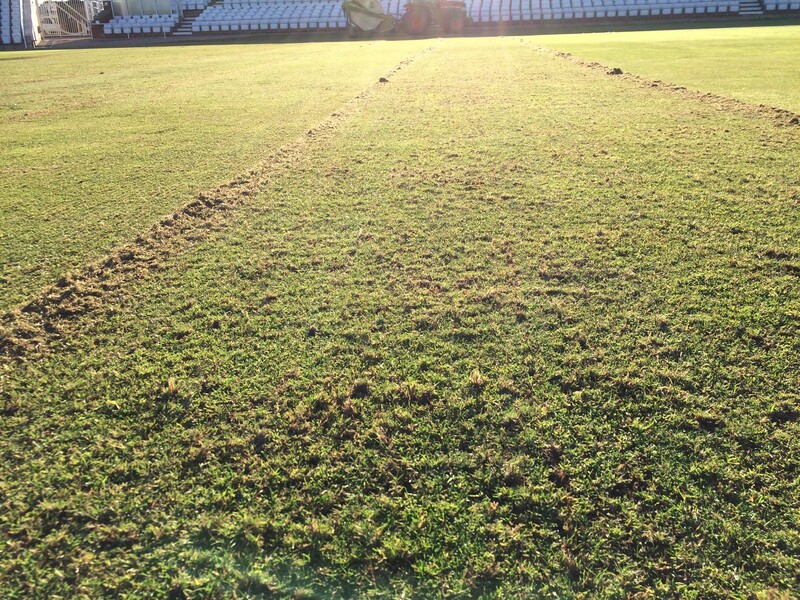 The outfield was over seeded with a Vredo Disc Seeder and Limagrain MM50.